The topic of evacuation is very popular at Key Stage 2. It is chosen because many colleagues believe that pupils in years 5 and 6 will be able to empathise with children of the same age who were evacuated from British cities and other target areas in World War II so that they would lead a different life in the protected and safe areas of the countryside. However, this line of reasoning only scratches the surface of the subject. The resources within are geared towards both Key Stage 2 and 3. 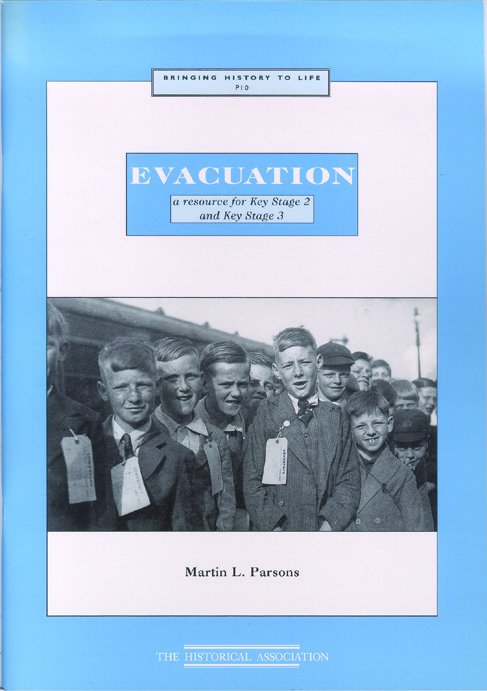 This booklet is designed as an aid to teachers by putting some of the evacuees' points of view and seeing evacuation in the context of the time it happened. My findings are based on extensive research at national, county and district levels. I have also included a separate section on evacuation overseas which is often neglected when dealing with the topic, but which is of equal significance. This booklet provides essential subject knowledge, details of overseas evacuation, classroom exercises and extension material.